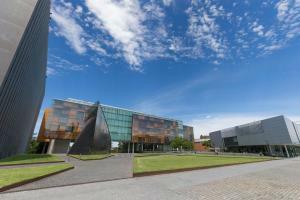 Want to study in the University of Sydney? Contact us and make it happen! Did you know, KOM Consultants are the application centre for over 20 overseas universities. We will do all the work for you. All you have to do is apply online for FREE!!! INCUBATE is an award-winning startup accelerator and entrepreneur program founded by the University of Sydney Union. No, it is not Gryffindor from Harry Potter. But it is one of the Residence Cafeterias at University of Sydney in Sydney, Australia. And the funny thing is that even Sydney students call it Gryffindor. 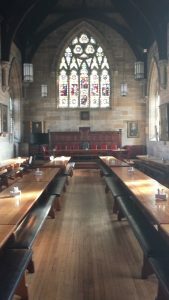 Established in 1850, University of Sydney embraces it’s historic buildings and campus. Another one of KOM Consultants Partnered University has been ranked in the Top 100 Universities Worldwide by QS Top Universities. You can probably guess by the image… That’s right! The University of Sydney was ranked at number 37 the the World!!!! Did you know?!! KOM Consultants are the application centre for the University of Sydney? Well, you do now! So, why not make an application today?!! With the world cup frenzy right now, it is appropriate to highlight a researcher at University of Sydney. 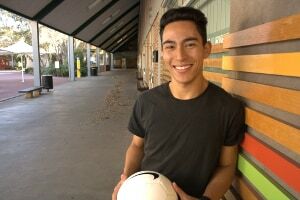 New research from The University of Sydney claims that it is possible to teach the perfect strike if coaches properly understand the science behind soccer kicking technique. 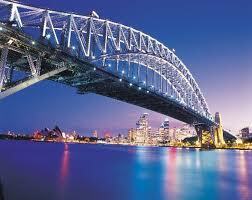 Sydney, Australia is the most popular city in the world for international university students. Sydney beat more than 80 cities including New York, Paris and London to the top spot, according to the 2014 Global Cities Index. Global consultancy group A.T. Kearney, which compiled the index, ranked Sydney on top after studying international student populations.